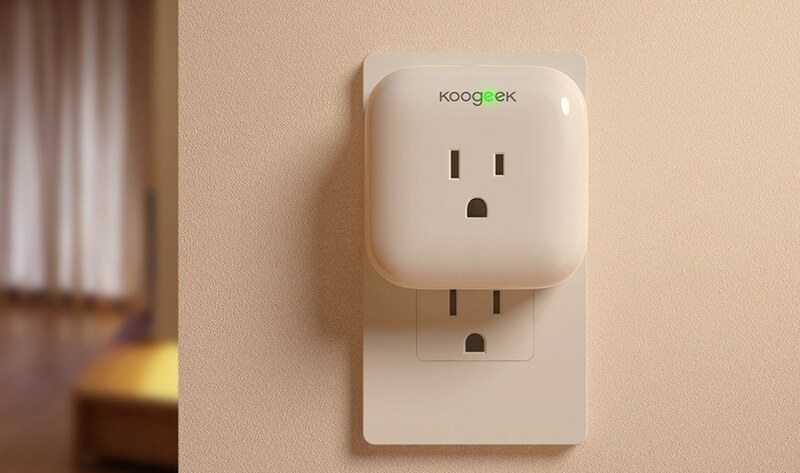 Kogeek's P1 connected plug lets you control traditional appliances through your phone or smart speaker, and its 15A/18000W resistance means you can safely use it with fans, coffee makers, and heaters. Unfortunately, unlike other products we've recently covered, this socket blocks the second power outlet and is slightly more expensive than the competition, even with the markdown, so we'd only recommend it if you need HomeKit compatibility. Lastly, it's a pity some features like consumption tracking are only available on iOS, especially when you know Kogeek has an Android app. This dimmable E26 bulb shines at 560 lumens with a color temperature of up to 3000K, which is the equivalent of a traditional 60W bulb. Thanks to built-in Wi-Fi capability, you won't need an additional hub to operate it, as it directly connects to your existing router. Just like the plug, it's a noteworthy rebate, but comparable products could be cheaper if don't need Siri integration. This LED strip is quite interesting: It offers 16 million colors, is dimmable, and 2 meters long. What's quite intriguing, though, is that it's USB powered and has a physical switch, which is relevant if you were thinking of plugging it behind your TV. Lastly, you can place the band outdoors as it's it waterproof and you can also adjust its length by simply cutting it. As with the plug, you can only enjoy advanced features such as custom schedules on iOS, which I hardly find acceptable.